O'Rourke said he's focused on "being together as a family" and representing his district until leaving the House on Jan. 3. But after that, he and his wife will "think about what we can do next to contribute to the best of our ability to this community"
This Nov. 6, 2018, file photo shows Rep. Beto O'Rourke, D-Texas, the 2018 Democratic candidate for U.S. Senate in Texas, make his concession speech at his election night party in El Paso. 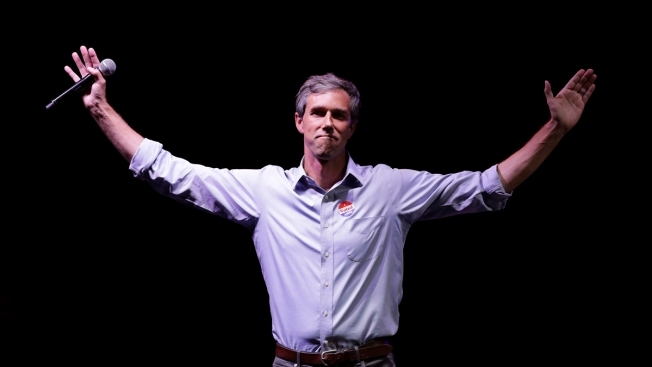 Democrat Beto O'Rourke said Monday he isn't ruling out a potential 2020 presidential run, walking back earlier pronouncements that he wouldn't seek the White House regardless of the outcome of his Senate campaign in Texas. O'Rourke, a three-term congressman who lost to Republican Sen. Ted Cruz this month, was asked during a town hall in his native El Paso about whether he was considering a presidential bid. He described vacationing last week with his family — something he said he couldn't do for 18-plus months while challenging Cruz.